You can get your cardio workout outside the gym, so long as you accumulate at least 150 minutes in a week. "Too much, too soon" is the main reason most exercise programs fail. 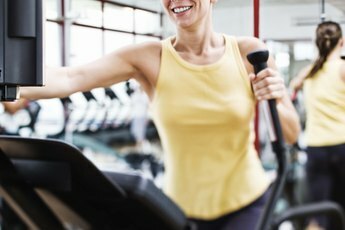 If you've never exercised or it's been several years since you hit your college gym, you'll need to start your cardio and resistance training at a lower pace and weight and build gradually. If you're careful about form and exercise properly, it won't be long before you can do something more strenuous, and if you've exercised in the past, your muscles will respond even more quickly. While you may not find one cardio machine you like, at least try to find one you don't hate. That said, unless you are seriously overweight, leave the recumbent bikes for the older folks. 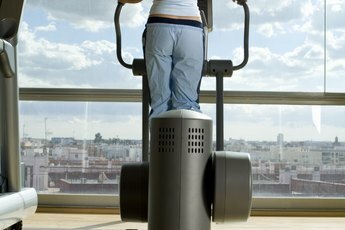 Just about any other gym machine, including the upright bike, will provide a good cardio workout. If you've been relatively inactive, start at a pace at which you can talk easily to a friend but singing would be hard. 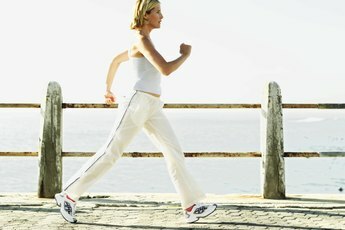 If you've been moderately active, which doesn't mean just traditional exercise but could mean walking several city blocks to and from work in a day, climbing stairs or doing yard work regularly, aim for a more vigorous workout at between 70 percent and 85 percent of your maximum heart rate, or the pace at which you can only talk in short breaths. You may have to start with workouts as short as 10 minutes, but eventually, you'll want to build to at least 30 minutes. For good health, everyone should resistance train the major muscles groups at least twice a week. Machines are particularly good for beginners because they distribute the weight and help you maintain proper form. A beginner regimen might include the chest press machine for your pecs, the seated row machine for the backs of your shoulders, the overhead press machine for your other shoulder muscles, the cable lat pulldown for the lats of your midback, the leg press machine for your quads, hamstrings and glutes, and the hip adductor and abductor machines for your inner and outer thighs. Machines for your abs, obliques and the erector spinae of your back can be a little tougher to master for newbies, so you might be better hitting the mats for crunches, twisting crunches and back extensions done lying face down. Choosing the right weight to start often poses a dilemma. You want to challenge your muscles without putting yourself out of commission. You should feel some resistance but be able to do at least eight repetitions without your muscles giving out. Aim for at least one set of eight and work up to two sets of 12 with a 60-second break between sets. When you can do 12 without struggling, move to the next weight. For mat exercises, try to do two sets of at least 15, increasing to as many as 25 or 30. You can save all your stretching until the end of your workout or stretch each muscle after you work it. Always do three to four stretches for each muscle group worked and hold each stretch for 15 to 30 seconds or for four slow breaths. Plan out your program so you can work each muscle group two to three days per week, but never work the same muscles two days in a row. Instead, allow 24 to 48 hours for your muscles to rest and recover. Does Outdoor Bicycle Riding Offer Exercise Benefits? How Can You Shape Your Legs if You Work Out at the Gym?